1. Adopts the air-pumping device clamps. 2. The height of the meter can be adjusted. 4. 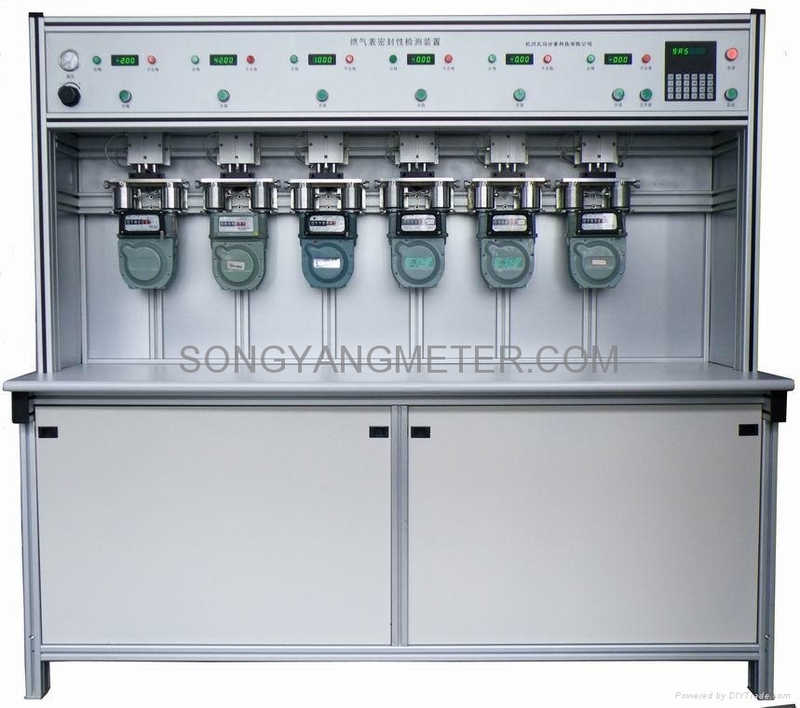 Maximal pressure of the testing meter is 18000pa. 5. Testing time can be adjusted; it will automatically alarm the bell when the test is completed. Test bench and its working principle completely satisfy the requirements of the testing rules of the gas meter. The four work positions can be clamped by the air pump at the same time, the testing pressure and the testing time can be adjusted, its testing efficiency is very high and it is suitable for the batched test of the gas meters. Functions and Features︰ 1. The time fixed for testing: fix the time for maintaining the pressure in the meter, usually 180 seconds. 2. The time fixed fir adding the pressure: fix the time for filling the gas meter with gas, usually 20 seconds. 3. The fine-tuning of the pressure: adjust the pressure of the tested gas, usually 15kPa. 4. Position: choose the position that can be tested for gasproof. Position one to four can be tested singly.